ItsOn, the company behind Sprint MVNO Zact Mobile, announced today that has reached an agreement with Sprint Corporation to power a new Sprint prepaid brand. The existing Zact service will be shut down at the end of August. On July 4, Zact stopped accepting new customers and notified current ones that the Zact service would be shut down and replaced by a new option. Zact is allowing current Zact customers to continue to use the service free of charge until the shutdown. Customers will have the option of transferring their devices and numbers to the new Sprint service. 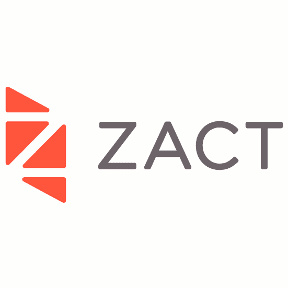 Zact featured a modular pricing model that lets users build a custom plan by choosing from different sized buckets of minutes, texts and MBs of data. A Zact plan could be used as a family plan with multiple phones sharing the same bucket of minutes, texts and data. Zact offered parental controls that let parents set curfews and block specific apps or contacts. Account management was done on the phone using an a pre-installed Zact app. Supposedly because of the Zact app's tight integration with the phone and service, Zact did not allow users to bring their own phones, which I think limited adoption. Sprint will install ItsOn's technology on all its Android devices going forward. According to ItsOn, Sprint will use its Smart Services Platform "...to implement granular service policy control for various data, text and voice services." ItsOn's CEO Greg Raleigh told Re/code that Sprint's service will offer different customization options than Zact did. He also said that Zact will not offer customers refunds for their devices. Raleigh said Zact customer signups exceeded the company's expectations but refused to say how many customers Zact has. Update 7/17: Zact has reportedly notified users that it will shut down August 3. Zact says that users who transfer to an un-named "new Sprint no annual contract service" will be able to use their Zact phone with no interruption in service. Neither Zact or Sprint have released plan and pricing details for the new service or what customers need to do to transfer to it. I pulled this from their FAQ on 7-6-13, which has apparently been scrubbed from their website. Are your phones unlocked? Can I use my Zact phone with another service? Every Zact device has been pre-loaded with our special software, which enables it to provide you with all the flexibility and control you experience with the Zact service right from your device. We are confident that you will love our service. If you change your mind within 30 days, simply return your phone to us for a refund. At any time, you can also contact us and we are happy to help remove the Zact software from your device so that you can use it on Sprint and other carriers on the Sprint network, such as Virgin and Boost. For additional details, please see our Return and Exchange Policies. I do believe the reference to Boost/Virgin was simply ignorance on their part as a new MVNO. All said, there is no need to remove or alter the Zact software for it to work on another MVNO. The device just needs to be properly released to Sprint and for Sprint to not block the ESN as they do their Subs Boost and Virgin. Zact is/was an independent MVNO and their devices were nothing more than wholesale devices just as Ting sells. I can't help but wonder what this will mean for Ting and other Sprint MVNOs going forward. With Sprint itself now competing more directly with Ting's business model, and preinstalling proprietary software on all its Android phones (which surely will remove incentive for BYOD compatibility in the future), I don't see how MVNOs can be seen as strategically central to its future much longer. The only thing that would keep you from using a Zact device on another MVNO is Sprint blocking the ESN. There is nothing within the Zact software that is installed on the device that will keep it from functioning properly on Ting or any other MVNO. I think Sprint MVNOs will be OK. Sprint has been very good to them, and they bring in a lot business that Sprint would probably lose if it squeezed out their wholesale market. I believe it is more likely that ItsOn phones will be allowed BYOD on MVNOs, and that MVNOs will be supported for the additional services the cloud services will enable. As a ZACT customer since June 2013, I loved the feature of the ala carte plan and credit of 'under usage' applied to my bill. I contacted SPRINT this morning and so far the reps don't have a clue and are trying to sell any plan they can promote. The rep I talked to didnt even know what the Itson technology was or what wa sbeing done for current ZACT customers. They did say the cell phones would not work, which leads me to them knowing 'something' mmmm......SPRINT better come out soo with their plan, since I will go to another carrier in order to transfer my cell number. I am not going to lose it if there is a lapse between ZACT shuttering and SPRINT picking up. Well, this is not like PrepaYd Wireless. Zact/It's On is shutting down this service of their own accord and with what is probably a pretty good payday from Sprint. So, I doubt they will let their customers hang out to dry and will allow a fair grace period for customers to port out to another carrier or move your device to the new service. As it stands right now we have 3 weeks to make a decision, those who were given the free month can port out anytime they want, so they don't lose any funds that were paid up front. If they are not clear on on allowing a grace period past the August shut down, then I would port out no less than a week prior to that shut down. I think the real concern should be the re-purposing of our devices, that there are no restrictions with the Zact device in regard to BYOD. Zact customers, for the most part, paid full retail for their devices and should be afforded the opportunity to take those devices to any MVNO that supports BYOSD. Been using Sprint-based over 5 years. Never has the Sprint network been this horrid as it is in 2014. I am on it but if it wasn't so dirt cheap ($10), I would quickly bail for another, as the reliability and quality is unusable at least a couple times a week and I'm not even on my mobile daily.
" I am on it but if it wasn't so dirt cheap ($10), I would quickly bail for another,"
Exactly. Similar to my experience. And the local Sprint office was touting the recent "upgrade". And after it was gone, the coverage is as marginal as ever. They can have a slogan: "At least we're not T-Mobile"
I get coverage on T-Mobile in many more places than Sprint. Can you hear me now? What?